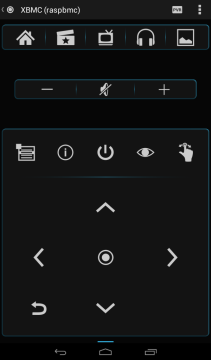 Raspbmc can be controlled from a Android phone or tablet by using the XBMC remote app. However, there is a much better alternative: Yatse Widget. This app looks gorgeous and is far better designed. The UI is almost perfect and using it is a real joy. If you are running Raspbmc and have an Android phone or tablet, give Yatse a try from the Google Play Store.